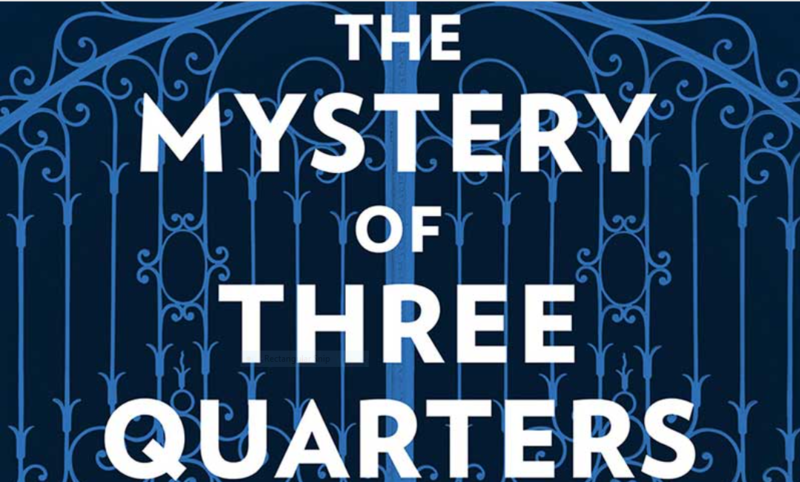 Well, “Mille Tonnerres!” As Hercule Poirot is wont to say, “Sacre Bleu!” but Madame Sophie Hannah has worked her sly magic once again in the continuation novel “The Mystery of Three Quarters,” out and at bookstores on August 28th. Of course, reviewing mystery novels is always a problem for the reviewer because you can not give any of the plot away. “You CAN NOT!” I am again using Hercule Poirot’s unique voice and intonation here. 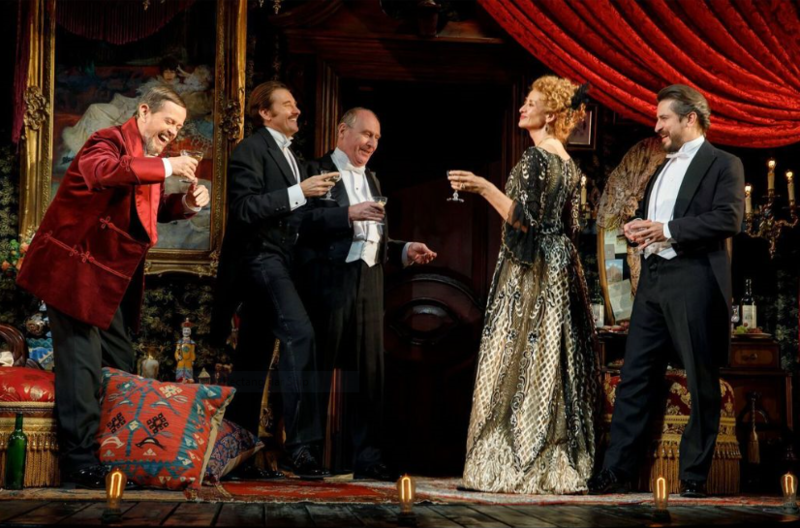 The first quarter of “Three Quarters” is undiluted joy for Christie fans because it is all Poirot, all the time. He is front and center as his usually adept self in handling the perplexing question of who is sending these poison pen letters to various random people and signing his name, accusing them all of the murder of Barnabus Pandy. (LOVE that name!) Hannah is wicked good with her choice of her characters’ names. The first character to accuse Poirot of this outrageous slander by snail mail (It is set in 1929. No emails here. Can you imagine Poirot sending an email? Or even going online! ) is the aptly named Sylvia Rule. And a more vivid, angry introduct-ress to a murder mystery you cannot imagine. And Poirot cannot imagine it either!! He, Hercule Poirot, the greatest detective of all time (he calls himself, modestly) accusing others of a crime and signing his name to letters he did not write.”It is an outrage!” he tells the implacable Sylvia Rule, and the other characters who turn up, in rapid succession, with identical letters. In various stages of discomfiture with Poirot.. This all happens in front of and inside his historic flat in Whitehaven Mansions. Hannah has preserved that from the Christie originals. New is the favorite place of Poirot’s to retire to, and figure out what to do with this perplexing situation with his “little grey cells”(Yes, they are here, too. )And that place is a pleasant café called Pleasant Café and run by Euphemia Spring. Who everyone calls “Fee.” (Once again Hannah’s marvelous choice of character names.) And Fee Spring has a large part to play. She has graduated from “the waitress with the fly-away hair” in “Monogram Murders” to a full-blown character, the proprietress of the Pleasant Café,now also returning as Poirot’s favorite Hannah-named haunt. George, his always perfect valet is on hand here, too. And of course, Poirot, the ultimate foodie, is always eating. And it is Fee Spring, who first raises the title of “Three Quarters,” through one of her delectable dishes, a cake that is shaped like a stained glass church window. The church window pane cake plays a major, major role in solving the mystery and the fact that Poirot keeps devouring all of its quarters so quickly made me think of how sweet and delicious this tasty treat must be. Just like this book. This novel will make you hungry, I’m telling you. That I can reveal. And not just Window Pane Cake. This is a very different offering from Mhz who usually specializes in heavy duty European television crime dramas. 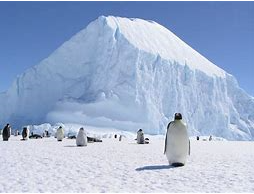 A favorite of mine “Maigret,” but their new “Antarctica:In the Footsteps of the Emperor.” is something else entirely. It’s a delightful French documentary on the sub-Artic continent, by Luc Jaquet, who brought us the equally delightful “March of the Penguins” in 2016. And once again, those penguins steal the show. This documentary focuses on the filmmaker/photographers themselves. An intrepid band of French Antarctic enthusiasts, who just HAVE to photograph every single aspect of the frozen continent. Their journey is compelling because they feel that climate change has even affected this least approachable of land masses. It’s melting fast. And they show it. 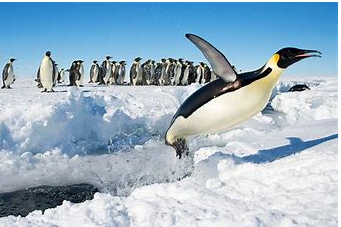 They have found traces of human waste and pollution in the water and also in what the birds and other mammals are eating…And the penguins! How can one not love the most humanoid of birds, who all resemble Alfred Hitchcock? To me any way. And we are engaged in their struggle to survive the brutal arctic conditions. 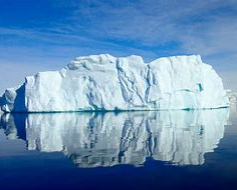 They upstage the filmmakers at every turn, but we form concerns, too, about this intrepid band of Frenchmen, who are so obsessed with Antarctica, they even want to photograph and record what’s BENEATH it. 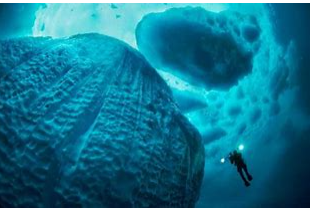 Have you ever seen the UNDERside of an iceberg? Well, you will here in this terrific doc. Your heart is in your mouth as these daredevil deep-sea divers go beyond the beyond. 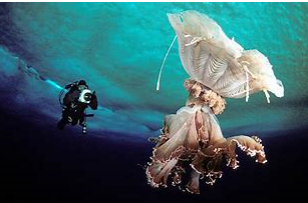 To depths of the oceans bottom that were unimaginable heretofore. Laurent Ballest and Vincent Munier and their crew attempt, and succeed where to bravely go where no man has gone before. “It’s like walking on the moon!” They exclaim, in French, over and over. 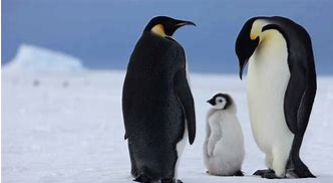 And you’ll feel like you’ve taken a really cool and cooling escape from the heat of planet earth, when you watch Mhz’s enchanting and thrilling “Antartica:In the Footsteps of the Emperor.” Emperor Penguin, of course. It’s the perfect summertime movie! 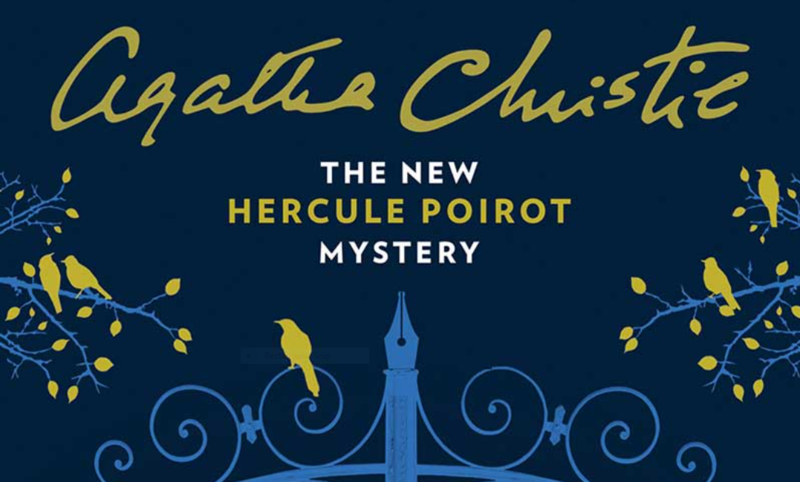 New Sophie Hannah/Hercule Poirot Mystery Coming Soon! Mystery Fans Rejoice! This is an Agatha Christie Alert! Hercule Poirot, your favorite Belgian detective, with the little grey cells did not die with his creator Dame Agatha Christie. He lives marvelously on in the two “continuation” novels written by the incredible, young British crime writer Sophie Hannah. Just TRY putting down her first two, “The Monogram Murders” and “Closed Casket.” Just TRY! C’est impossilble! And his delighted fans, will find him back YET again in a mere few weeks, in ANOTHER new Sophie Hannah/Agatha Christie novel called intriguingly “The Mystery of Three Quarters.” With the marvelously named Barnabus Pandy, as a central character. Dead, of course, as the novel opens. The setting is London, mais oui, in the 1930’s. Go to Sophie’s website if you want to know more. You can pre-order your copy from http://www.sophiehannah.com or Barnes and Noble and many, many other sources you’ll find linked to Sophie’s delicious site. William Morrow is the publisher. And you’ll also find a tantalizing excerpt from the novel, featuring a stunned (and stunning) Hercule Poirot himself. I can’t wait! 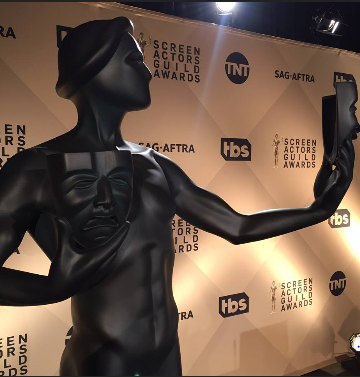 More SAG live-blogging! The Same People Keep Winning! With Sam Rockwell and Allison Janney both winning the Supporting Actor awards tonight as they did last week at the Golden Globes and the Critics Choice Awards last week, they have now both won all three main precursor awards leading up to the Big One = the Oscar. 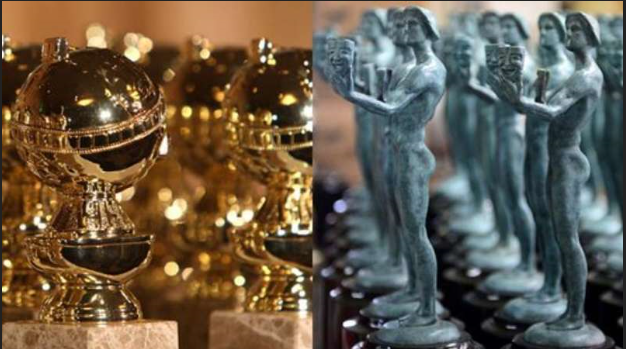 It’s coming up in March, the Academy Awards night itself, but the nominations will be announced on Tuesday. Which ends the official Phase Two of the run-up to the main awards themselves and begins Phase One, which is what happens AFTER the actual nomination are announced. But the fact that these two marvelous performances, have now both won every award they possibly could win, before the Oscars themselves. Means that they are marching in lock-step to the Dolby pavilion. Rita Moreno gave a funny introduction to her friend Morgan Freeman’s Lifetime Achievement Award. On a night supposedly honoring women, it should have been a woman they honored. I think Freeman knew that. He gave a VERY short speech and both got off the stage. Next up, the SAG Awards on Sunday night. 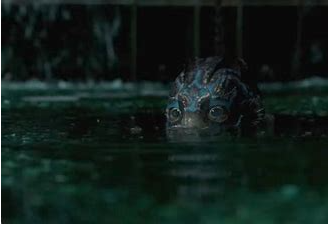 I’ll be Live-Blogging those awards, too, which are considered more seriously as they actually voted on by members of a for-real industry guild, the Screen Actors Guild. 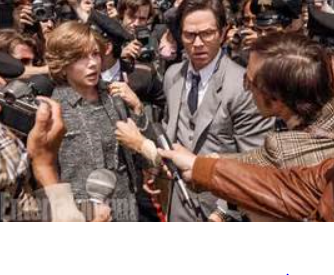 Oscar Xmas Shocker!”All the Money In the World” Is One of The Best Films of the Year! Never expecting the (nearly) last film to screen before Christmas Day would turn out to be one of the Best Films of the Year, I was totally blown away by “All the Money in the World”! Color me surprised! I should’ve known. Master Filmmaker Ripley Scott, 80 and Oscarless still, has directed a rip-roaring’, edge of your seat, snatched from the headlines thriller. With two Oscar- seeking performances by three-time Oscar nominee Michelle Williams and Octogenarian Oscar Winner 88-year-old Christopher Plummer. Based on the true story from the ’70s of J. Paul Getty’s grandson’s kidnapping, it’s a white-knuckle thriller that holds you in its death-defying grip and squeezes you and squeezes you,barely letting you breathe for its over two-hour plus length. It was fantastic. It’s as dizzying as standing on the top of Mt. Everest. At times, Scott’s dare-devil-pacing has your mind racing like a speed-demon at the Annapolis 500, a steeple chase that is going to straight to hell in a handbasket. A handbasket that contains Getty’s captive grandson’s severed ear. And yes, Scott does show you that horrific scene in all its Grand Guignol glory. He doesn’t shy away from it. It’s sort of the point of this horrible morality tale, where the real villain is money. Getty is not just the richest man in the world. He’s the richest man who ever lived. And his J. Paul Getty is one of Plummer’s greatest performances and is currently nominated for a Golden Globe Award for Best Supporting Actor. As is Michelle Williams for her brave, fearless,angry,defiant daughter-in-law, Abigail Harris, whose son is the one the Mafia captures. Assuming it’ll be an easy-peasy few million from the old man, it turns out to be a night-mare beyond all imagining for her. Williams gives a towering performance and matches her nemesis beat-for-beat. Her nemesis is not The Mob, but her greedy, parsimonious father-in-law, who doesn’t give a fig for his godson’s life or his ear. Even though the teenager is named John Paul Getty III. 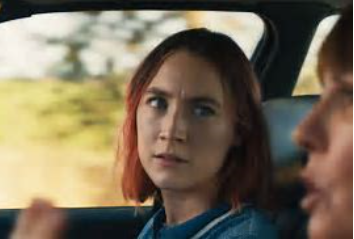 I hope Williams amazing performance is not lost on audiences,who are most likely to know “All the Money in the World” as the film that recently disgraced Kevin Spacey was replaced in. The nine DAY re-shoot was accomplished at the same pace “All the Money in the World” itself maintains. Feverish and seamless. You’d never know that this kind of major revision was done, and done so well, and Plummer just shines, shines, shines. Michelle Williams and Mark Wahlberg as the Getty henchman, flew back to reshoot the “new” scenes AT THEIR OWN EXPENSE. 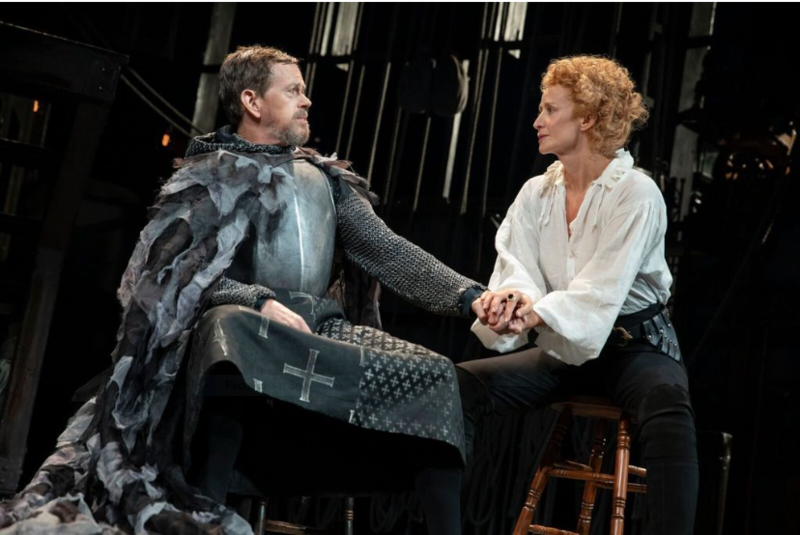 and both of them hold their own, and more, with the astounding Plummer.I saw his “King Lear” on Bway. His Getty is just as good if not better. It is photographed, at first, at the fountains of Trevi in Rome, in a dolce vita black and white that gradually changes into a de-saturated, greenish pallette, that is – the color of money. 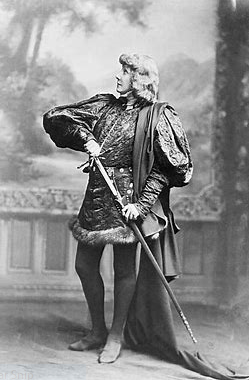 Plummer as Getty, at the end of the film, seems so green and thin, he’s almost turned into a dollar bill himself. 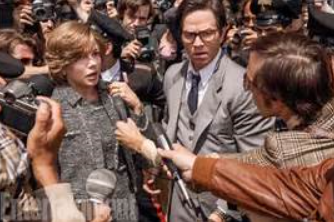 The events in “All the Money In the World” are at times sickening, grotesque and frightening. It painstakingly shows the toll that all that money takes. On everyone and everything it touches. Only Michelle Williams’ valiant Abigail Harris makes you care what happens to her hapless long-haired stoner of a son( played as a marvelous, but resourceful blank by a young actor named Charlie Plummer, strangely no relation to his well-known grand-father). The mother here is wonderful. The kidnapped grandson is nothing. Nobody cares about what happens to him. Only his heroic mother. “All the Money In the World ” is unquestionably one of the best fims of the year, and is going right into my Year’s Top Ten.